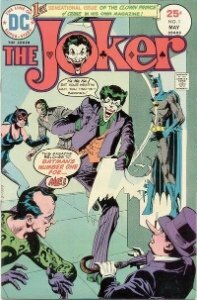 Joker Comics: What Are YOUR Vintage Comic Books Work? 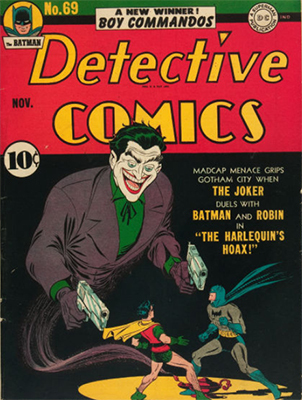 Joker comics have been around since the late 1930s, when the Batman's most infamous enemy first appeared. 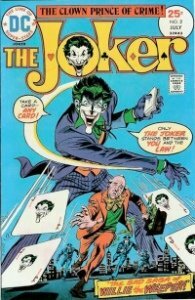 If you have vintage comic books featuring The Joker, then this article will tell you what they are worth. 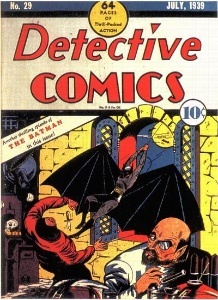 Alternatively, you can contact us for a free valuation of your old Batman and Detective comics. 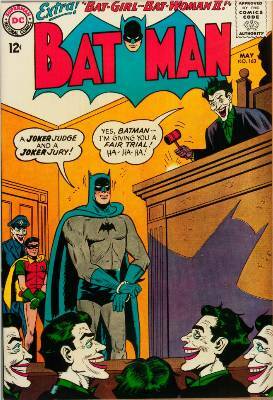 The good news is, if you have a copy of the comic featuring the first appearance of The Joker, then it's the legendary Batman #1. 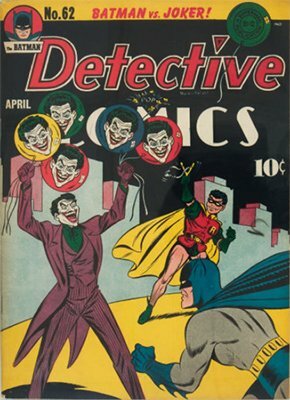 The bad news is, that's a rare comic book, and the chances of you having it in an old collection are pretty slim. 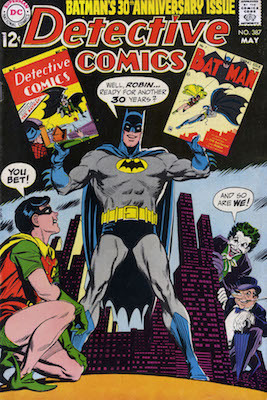 No matter what condition your Batman #1 is, if it's complete, then it's worth at least $20,000! Get yours valued today, for free. 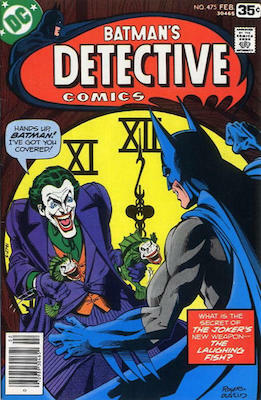 Another vintage Joker comics landmark is Detective Comics #40. 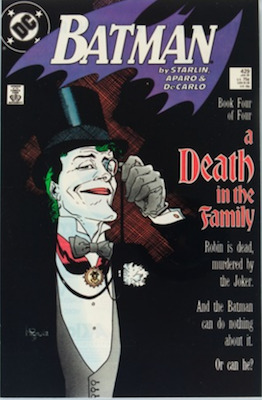 Here is the first appearance of the Joker on a comic book cover. 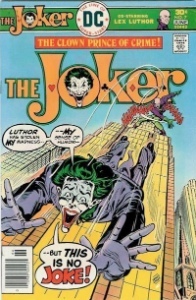 Admittedly, it's a pretty small image of The Joker. 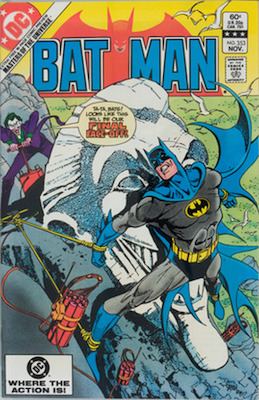 He's visible next to Batman, while Robin hanging from a flagpole is the cover's central image. 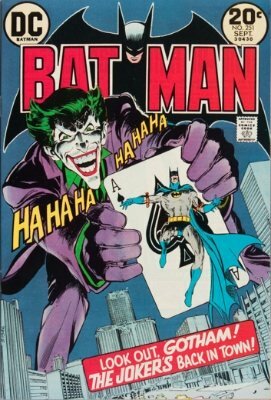 Even a pretty beaten-up, but complete, copy of this landmark Joker appearance is worth $1,000. 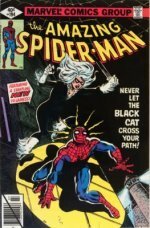 Get yours valued today for free by Sell My Comic Books. 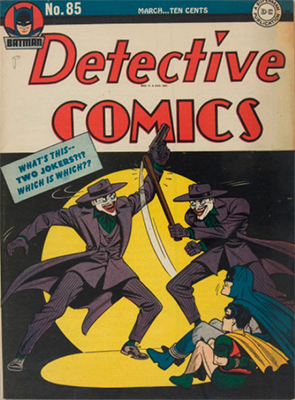 Here are some really special Joker appearances from the early days of Detective Comics and Batman Comics. We've put the minimum value for each below the images. Get in touch if you want yours valued! 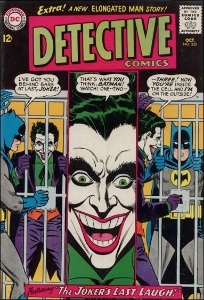 While you won't come across the earlier Batman and Detective Comics all that often, there are still plenty of Joker appearances with value in the 1950s, 1960s and 1970s. 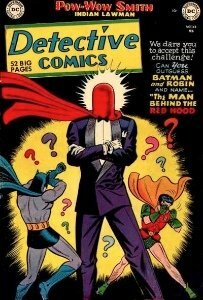 Here are some of the covers. 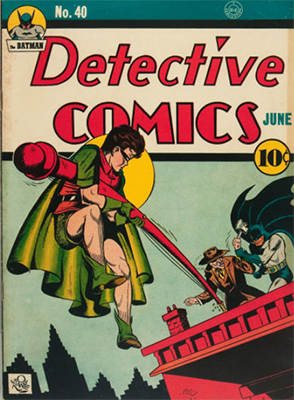 If you have a big collection, the fastest way to get a sense of their value is to ask us for a free comic book appraisal. 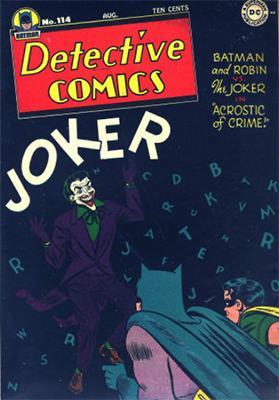 Starting in 1975, DC Comics tested the popularity of The Joker by launching his own dedicated title. 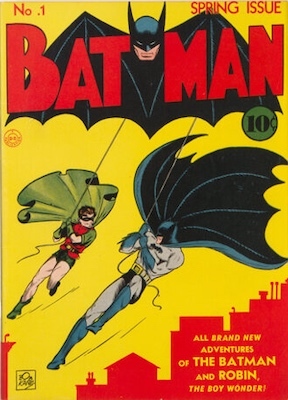 Ultimately this proved to be ill-fated, and the series lasted only nine issues. In ultra-fine condition, they have value, otherwise, you should not bank on a big windfall. Some of the covers are below. 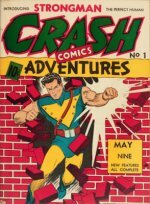 Get your vintage comic books valued FREE by Sell My Comic Books. We do written valuations for insurance or estate purposes, and back up our valuation with a Dollar cash offer. 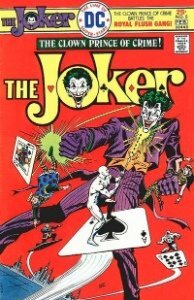 The Joker is a classic DC Comics villain. 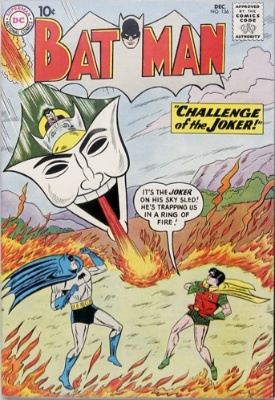 He's gone head-to-head with Batman, Superman and many other DC characters. Find out the values here. Here's a hint: The Joker features in our #1 pick for all-time greatest superhero movie! 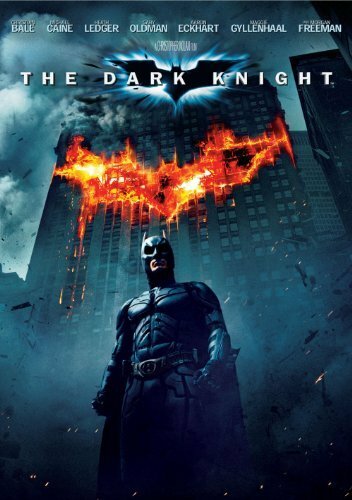 Find out which we rated the best of all time, and leave comments or vote for yours. 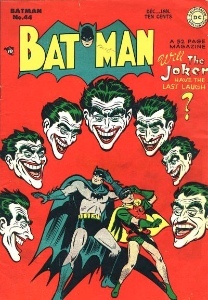 The Joker appears in some of the world's rarest comics. Find out which he's in, and what the values of these classic pulp fiction masterpieces are. 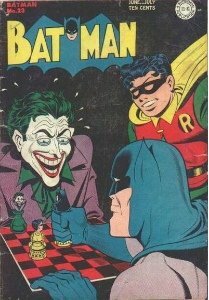 How much are the Golden Age key issues of Batman Comic worth today? Learn their worth here, including first appearances. 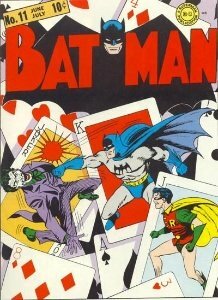 The comic books where Penguin, Riddler, Poison Ivy, Man-Bat and others valued. 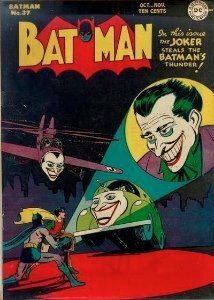 Perhaps the most terrifying of all Batman bad guys gets the Sell My Comic Books treatment. 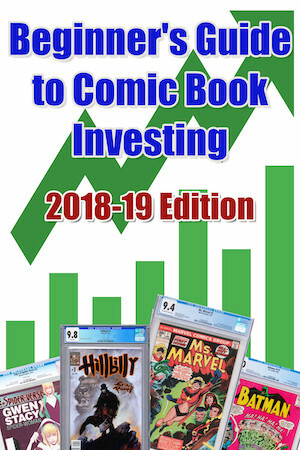 Learn What YOUR Vintage Comic Books Are Worth!